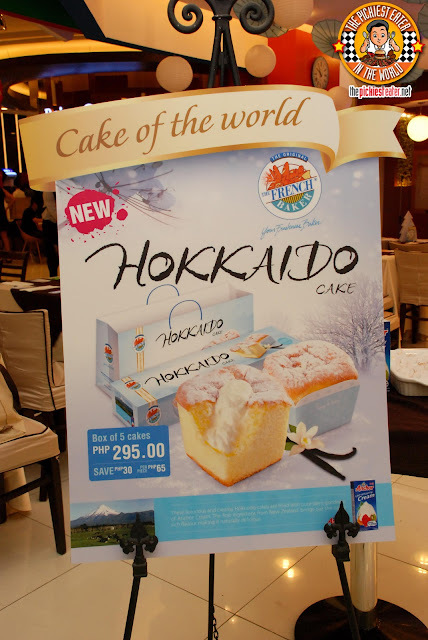 THE PICKIEST EATER IN THE WORLD: FRENCH BAKER'S HOKKAIDO CAKE! 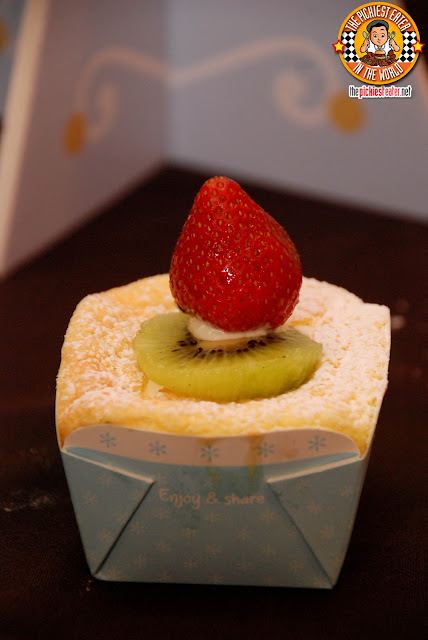 As a lover of all things dessert, I was elated to receive an invitation to witness the launch of French Baker’s Hokkaido Cake, which is part of their new “Cakes of The World” Line. I’ve always had a fondness for French Baker, with their Croissants and Turnovers never failing to catch my attention whenever I pass by one of their stalls. Going to the event, I had no clue what a Hokkaido Cake was, but all I knew was that it was a collaboration between French Baker and Anchor Butter, and that was good enough for me. After settling down and enjoying some of the provided refreshments, I found myself enraptured by the origami activities provided as a means to pass the time whilst waiting for the others. 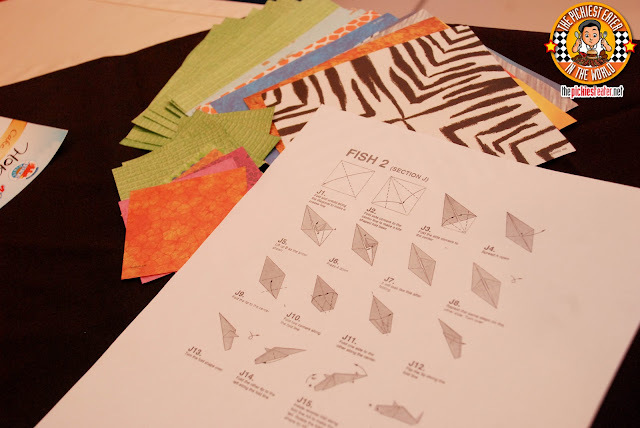 Though it was a lot trickier than it looked, I was able to form an origami fish and a frog (at least I think that’s what it was)! 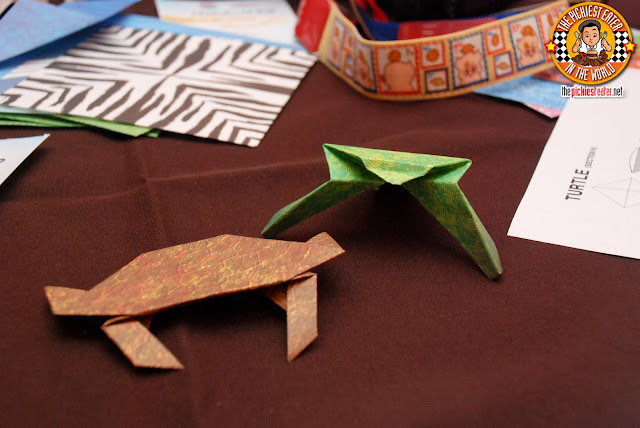 As we would find out later on, the origami would have a relevance to the day’s activities. It’s not every day that you see the Founder and President of a company so hands-on, that he would be willing to be the host of his company’s product launch. 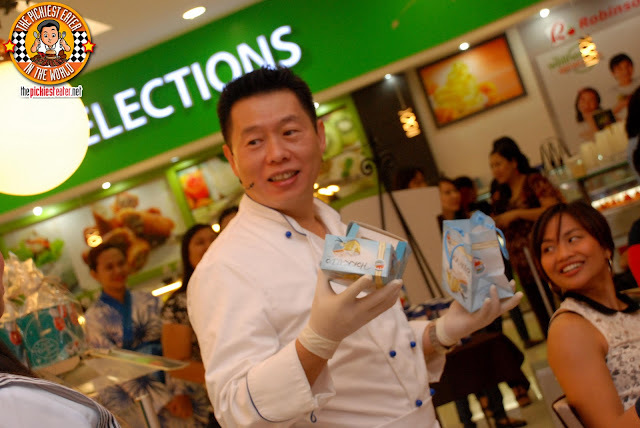 But then again, it was that maverick way of thinking of Mr. Johnlu Koa that helped French Baker reach the level of success it has attained today. 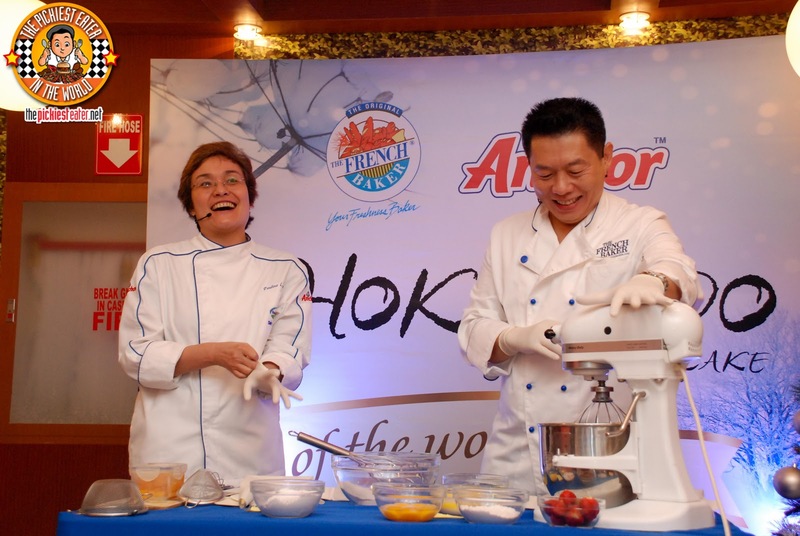 Mr. Koa was joined on stage by renowned Chef, Pauline Lagdameo, who represented Fonterra Anchor. 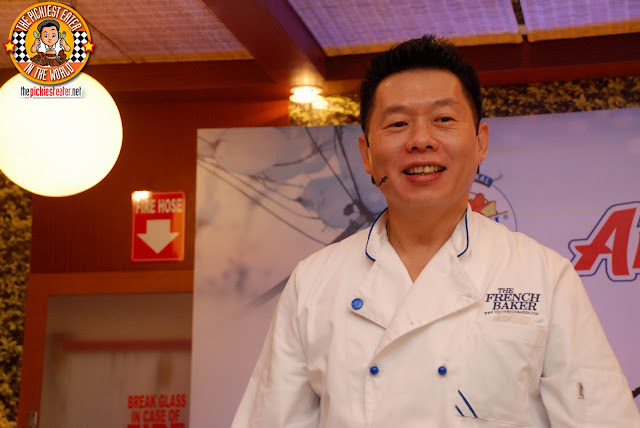 I must say, that Mr. Koa and Chef Pauline was a joy to watch. The two baking masters had chemistry, and there never seemed to be a dull moment for the audience. 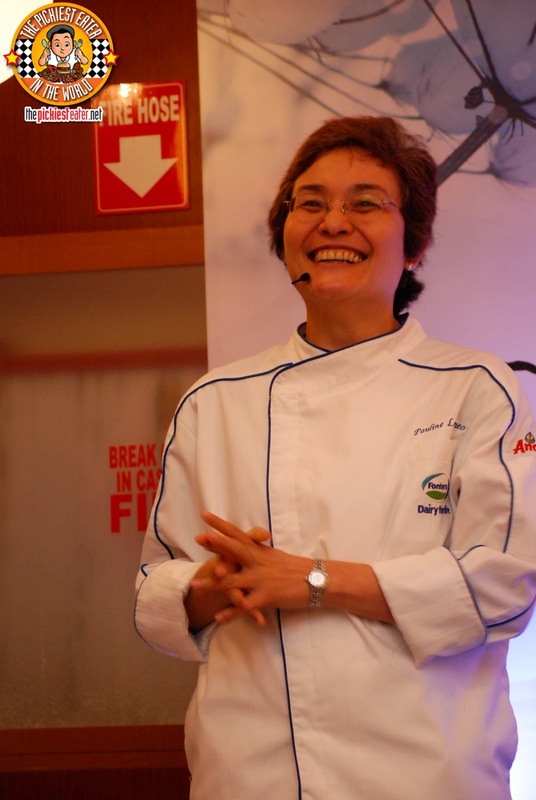 Mr. Koa is a natural comedian, and Chef Pauline was more than happy to exchange witty banters that kept the crowd laughing. If these two had a cooking show together, count me in as one of the viewers! 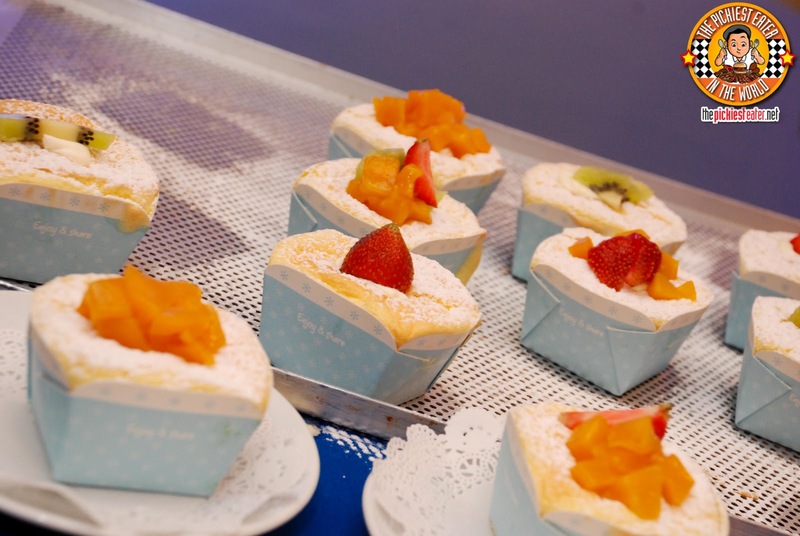 Mr. Koa and Chef Pauline explained to us just what exactly a “Hokkaido” Cake is. It’s an angelically soft chiffon cake, with fluffiness that will leave you mesmerized. An Anchor cream filling is then piped inside the airy cake, taking the cake to even more delicious new heights. A Hokkaido cake craze has been gaining steam globally, and French Baker is perhaps the first of the major Philippine brands to bring it to our shores. Chef Pauline and Mr. Koa then showed us how exactly a Hokkaido cake is made. 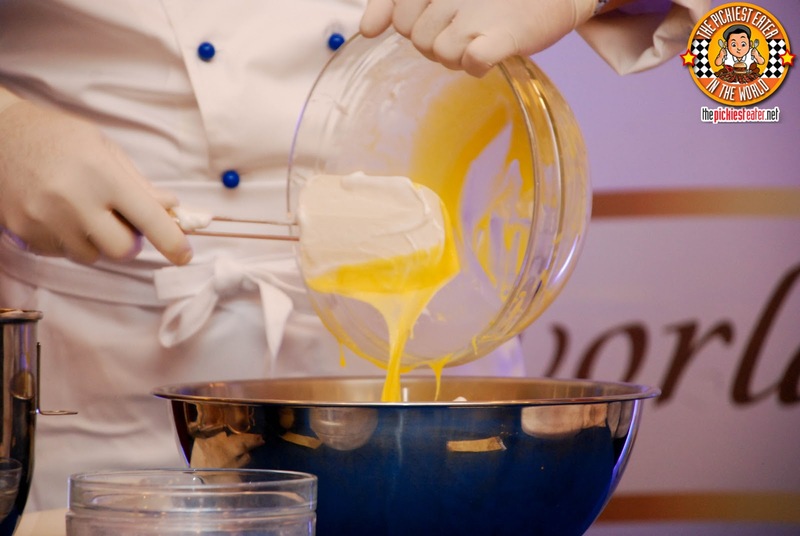 First off, egg whites were whipped down to a smooth texture. 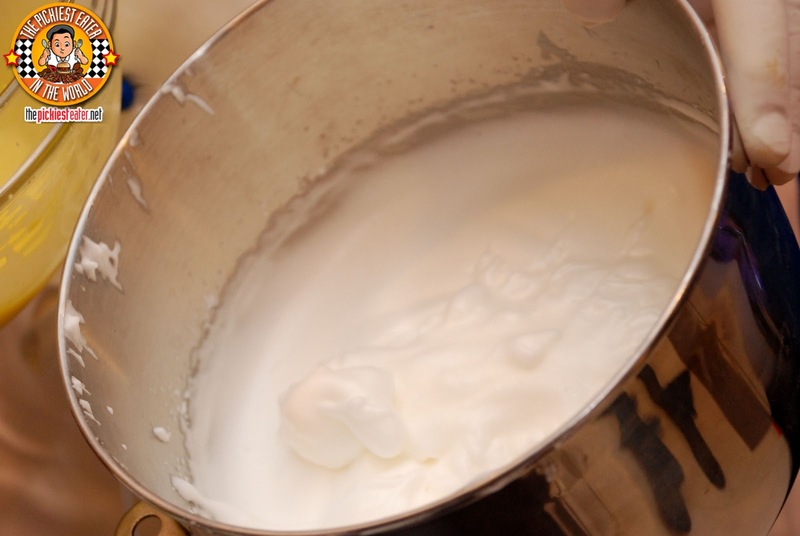 Cream of tartar was then added to help stabilize the egg whites. (Cream of tartar comes from citrus fruits, and is not synthetic). 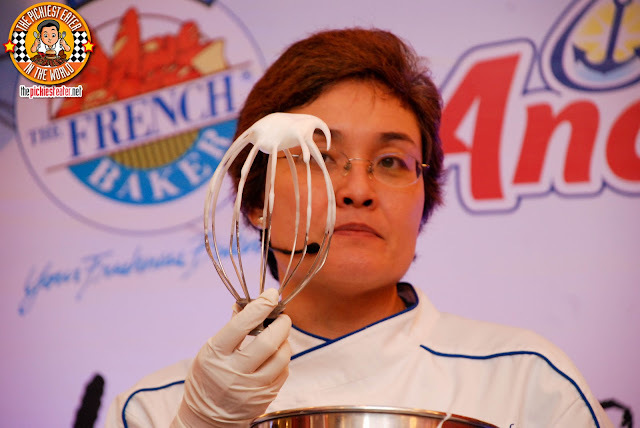 Chef Pauline then gave advice on how to get the perfect consistency of whipped egg whites. It is essential for it to have a soft peak with no dripping, without it being too stiff. Once your egg whites are ready, set aside. Next, melt anchor butter and fresh milk in a bowl. 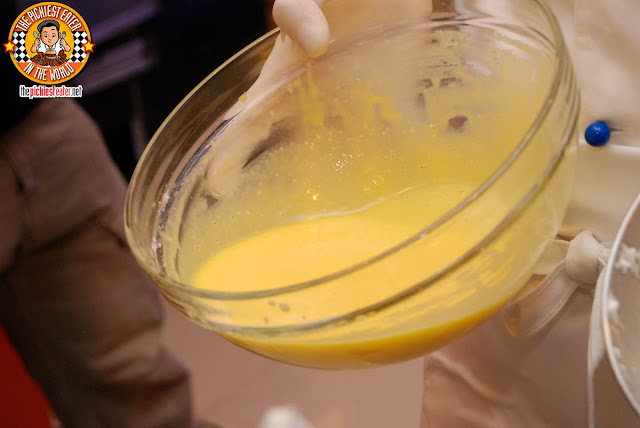 You then add egg yolks and blend thoroughly. Afterwards, add sifted flour & then whip. 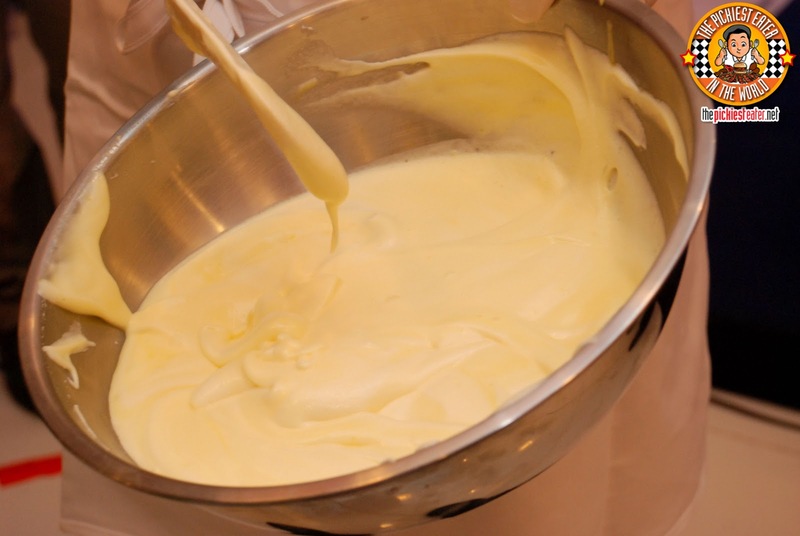 Then mix the egg whites and the butter mix together.. 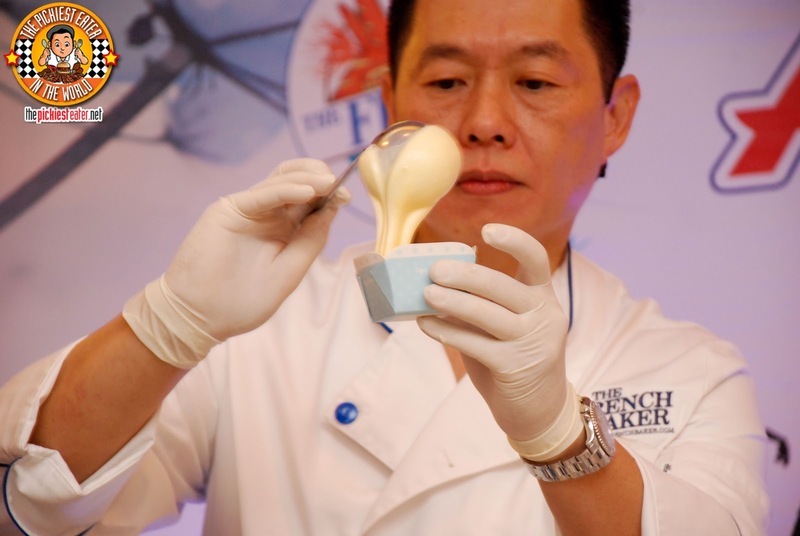 Creating the batter for your Hokkaido “chiffon” cake base. 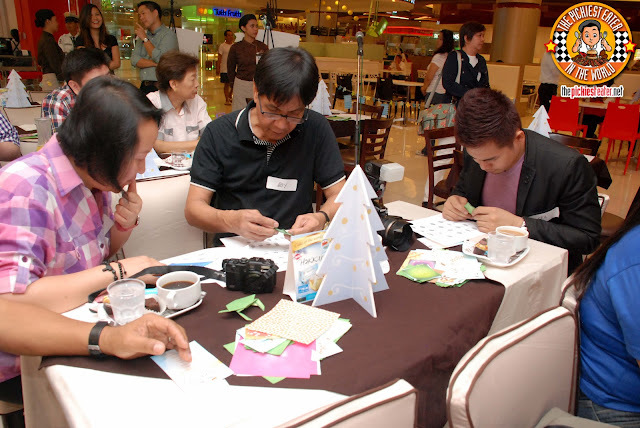 The mixture is then evenly scooped into the “origami” paper holders. An important note is, the batter should be scooped & not piped so as not to add more air into the cake because piping adds air. It was then put in the oven, to bake for 12 mins. While the cakes were being baked in the oven, Mr. Koa once again showed off his hosting skills and engaged the crowd in conversation, giving them the rare opportunity to interact with Chef Pauline and ask her questions. Once the cake was pulled out of the oven, it was set aside to cool down. 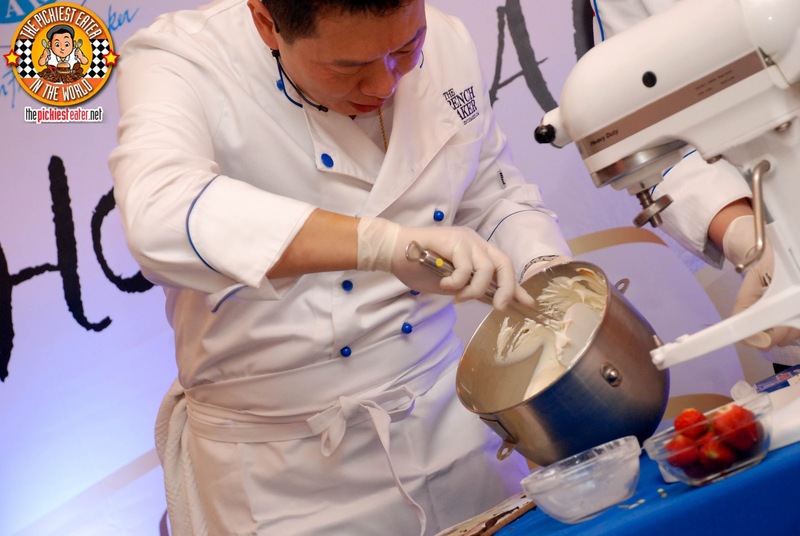 As it rested, Mr. Koa and Chef Pauline began to work on the cream filling. They first whipped Anchor Cream, and added vanilla bean. Mr. Koa let us in on a little secret. 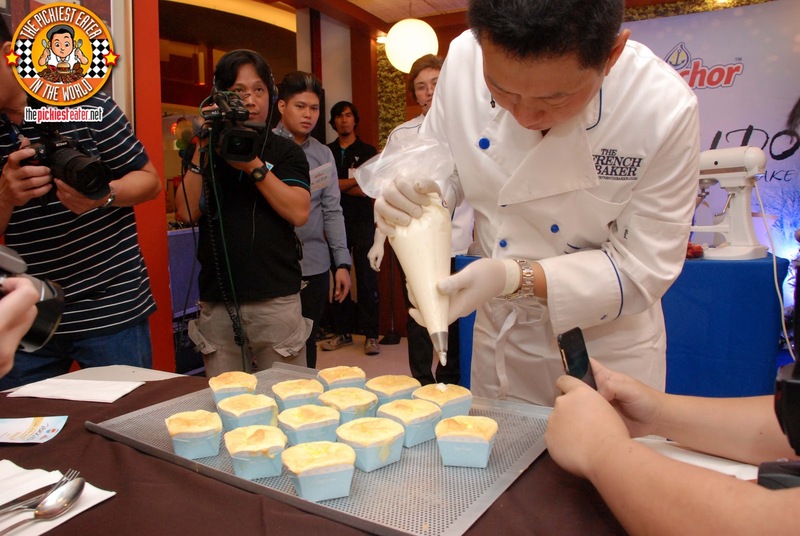 Though Vanilla bean was used for this demonstration, bottled vanilla concentrate is actually the more feasible alternative if considering making these cakes for commercial use, because of its stronger aroma. In his experience, the stronger the aroma of the pastry, the better it sells. Afterwards, they proceeded to add sugar, then whipped it until again, it created a soft peak. The cream is then piped into the center of the Hokkaido cake, leaving it oozing from the top. The cake is then topped off with a bit of powdered sugar for the perfect touch of sweetness. 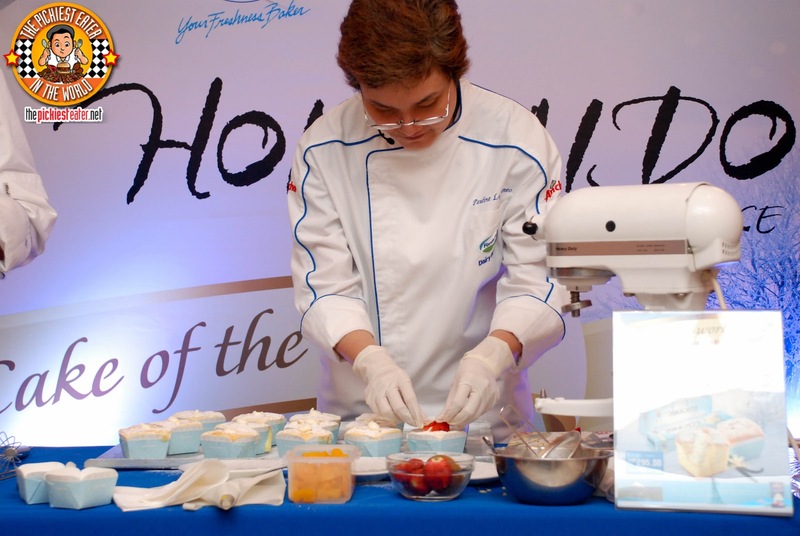 Chef Pauline suggested that the cake may be garnished with fruits of your preference, such as strawberries, mangoes, etc. Even without the fruit garnishing, the cake itself was absolutely delicious. 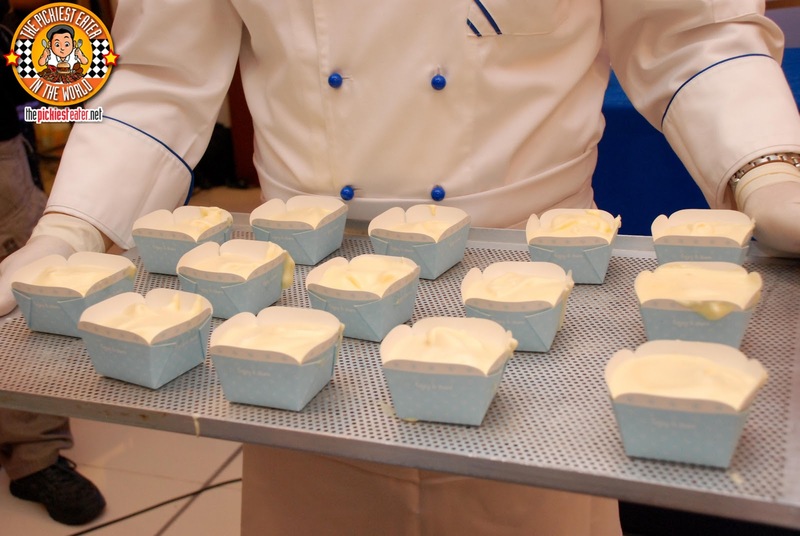 The chiffon was moist and delicate, and the cream inside was simply amazing. 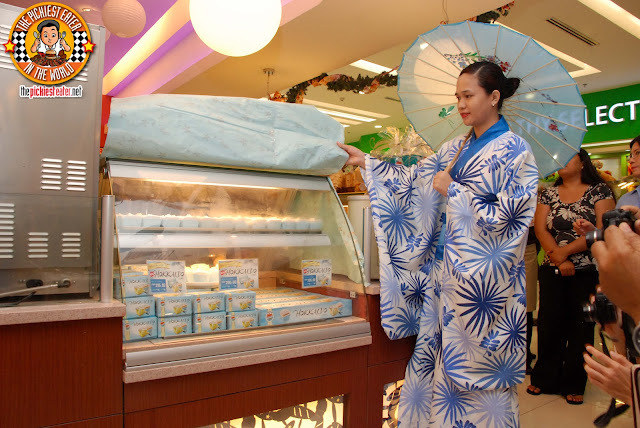 Once everything was said and done, a lovely Geisha walked out to reveal French Baker’s Hokkaido cake line in its gorgeous boxes, ready to be sold, and a perfect gift for the holiday season!